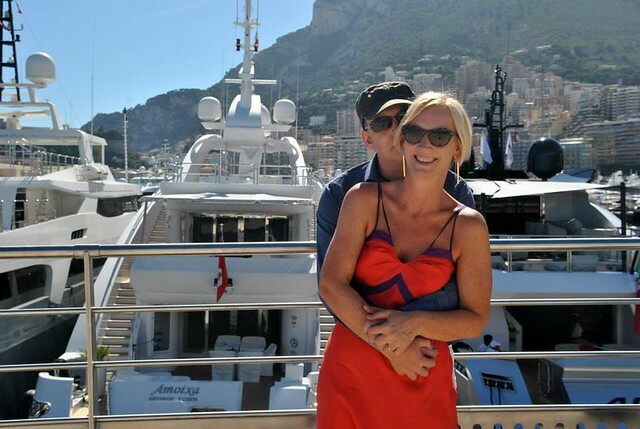 Last week you could read part I of our daytrip to Monaco. We visited this city-state in July 2014 and I really wanted to share with you what we managed to see and do in just 12 hours. In this post you could read about our visit to the Jardin Exotique and the museum of Prince Rainier III’s private collection of antique cars. 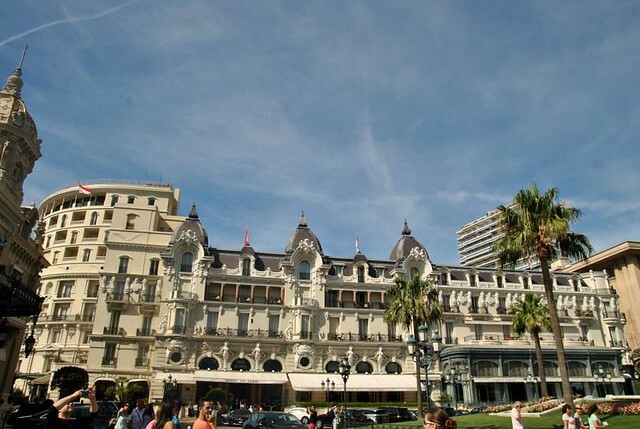 I told you about the Palace and the Cathedral and today I’ll tell you a bit more about the harbour and our visit to Monte Carlo. 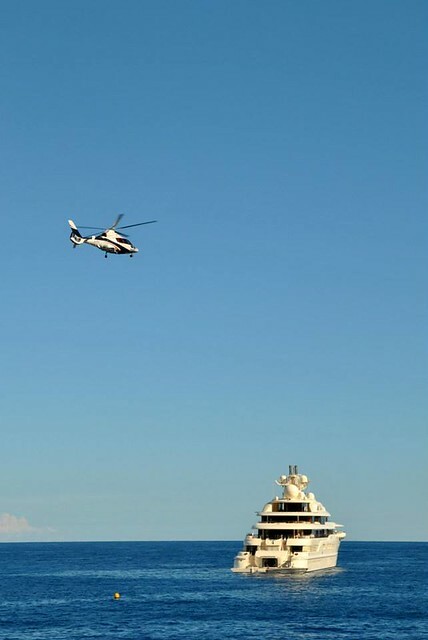 Arriving in style on your yacht… with a helicopter… why not?! After taking heaps of photos in the harbour (pretending to be posing before our very own yacht of course! 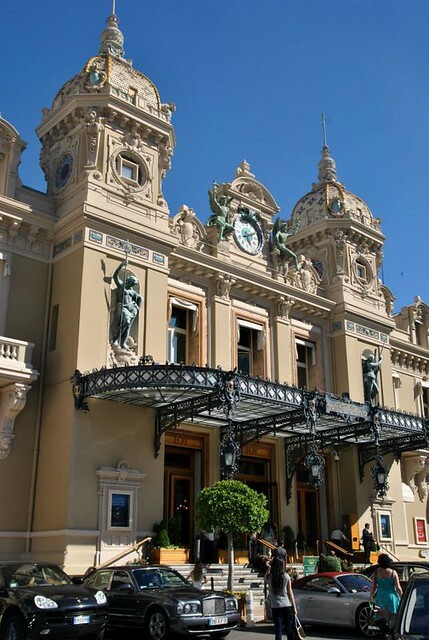 ), we were walking towards Monte Carlo passing the Casino which is built in beaux-arts and neo-baroque. 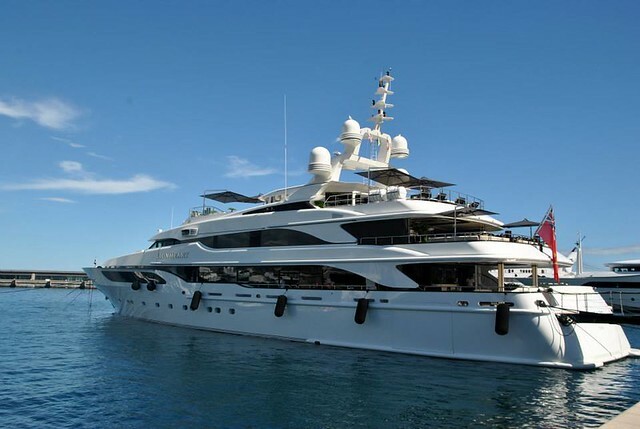 We didn’t visit the Casino though but if you’ve got some cash to spend… feel free! We had another drink at Le Bar Américain of Hôtel de Paris right across the casino (it was really warm and really thirsty weather hence the many terraces!!). 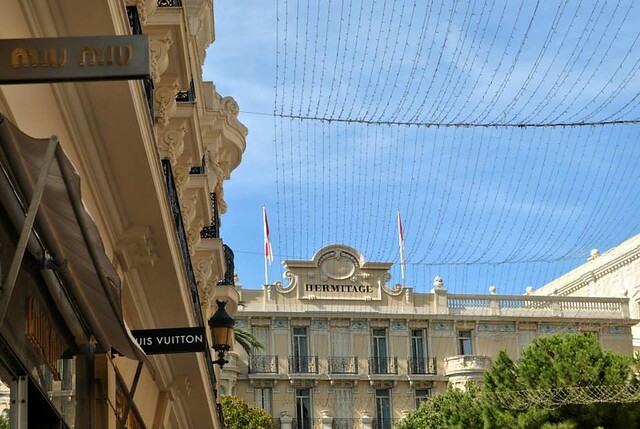 Here we rested our feet and did some people-watching… that’s always a nice pastime and especially on a terrace in Monte Carlo, right across the casino I can tell you that! 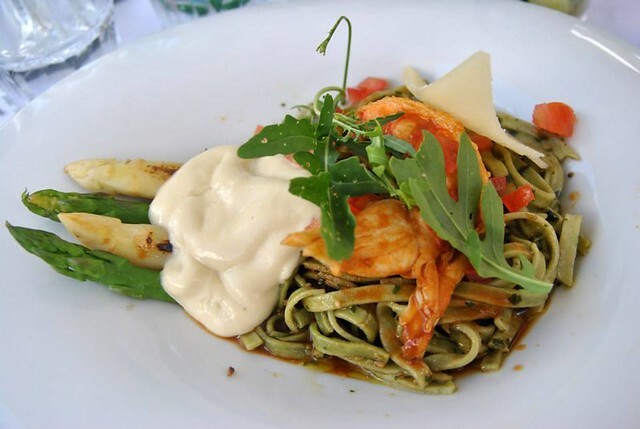 We had an early diner at one of the many beachside restaurants. 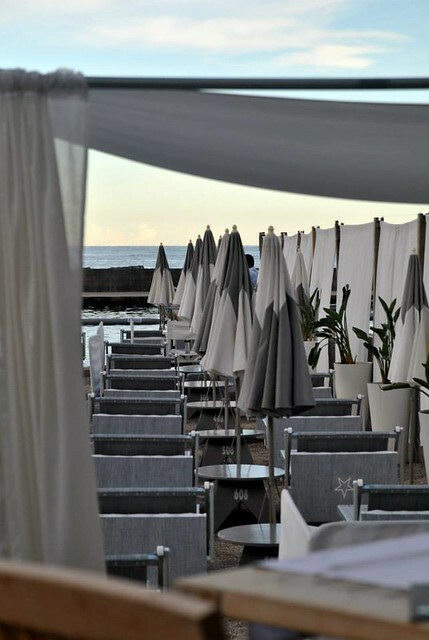 We picked out La Note Bleue, a jazz lounge, bar and restaurant right at the beach of Monte Carlo. We enjoyed our apéritif (a gin cocktail) and our diner and even when it started raining slightly, we could stay outdoors as the parasol above our table was large enough… I must say that we were glad it started drizzling as it had been a hot day… a bit of cooling down during diner didn’t hurt us at all! 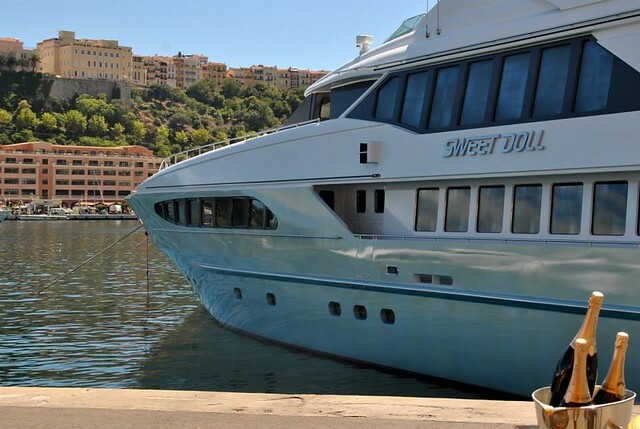 At about 9.30pm we went to get our car and after spending about 12 hours in Monaco it was time to head back to our holiday house near Cannes (which still was quite a ride!). Here you can read a post about the glitter and glamour in Paris during Paris Fashion Week! 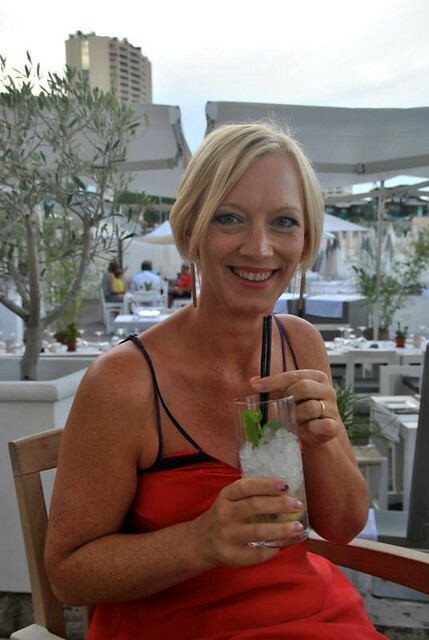 OK.. my hair was a bit misbehaving by the time i had my lovely gin cocktail… but it had been a long and hot day! 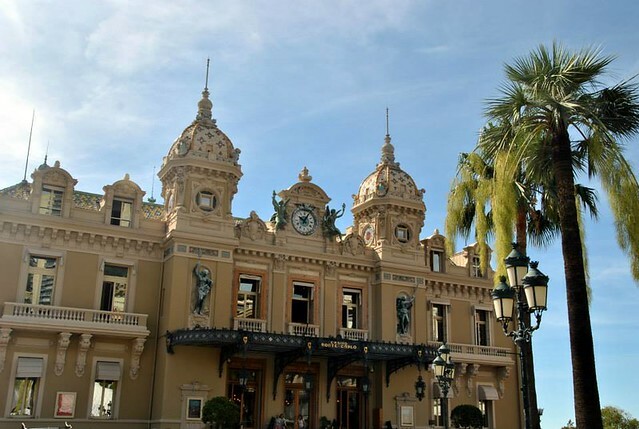 This entry was posted in France, Travel and tagged casino de monte carlo, france, hotel de paris, la note bleue, le bar américain, monaco, monte carlo, Travel. Lovely photos! 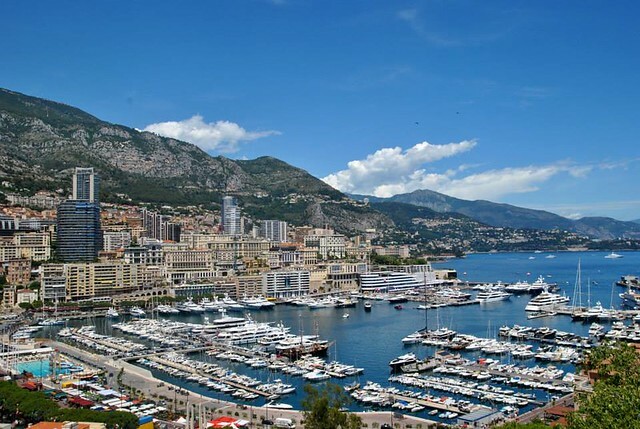 I have never been to Monaco before, but it sure looks nice!